If you have an old or wrecked vehicle that you need to get rid of than Hazara's car disposal can help you get rid of your unwanted vehicle. A vehicle disposal centre can help with auto removals and can take that old and busted up car off of your hands. Hazara Car Removals specialize in vehicle removals and will take cars off of your hands and pays $5999 you in cash. We buy all makes and models and pay you on the spot for your old, damaged, or unwanted vehicles. Hazara Car Removals is a vehicle disposal centre that will buy your cars, trucks, Utes, vans and 4WD vehicles. It does not matter if the car is in perfect condition and you are just looking to sell it quickly or if it is damaged and you want to get rid of it as it no longer works. Hazara Car Removal Melbourne will buy your cars. We make auto removals quick and hassle free. The best part is that it costs you nothing at all, We do free car removals in Melbourne and we pay you to do it. Get free quotes 0409 145 434. It is easy to find out how much your cars is worth. Call 0409 145 434 and ask for a free quotes. We also have cash for cars services where we pay you for your old or unwanted cars. We pay $5999 cash and have a free pickup service. We will purchase unwanted cars, trucks, vans, Utes and other vehicles that are in any condition even if they are damaged, smashed or wrecked. If you have a car that you want to get rid of that has mechanical problems than we will buy that too. We have fleet of tow trucks in Melbourne that can come out that same day if they are available and take those unwanted cars off of your hands. Hazara car disposal Company can take your old and unwanted cars off of your hands and out of your driveways. We take cars that still run and cars that have been damaged or wrecked. We also can dispose of vehicles that have mechanical issues. There are also cash for car services where we pay you for your old cars that you no longer want. 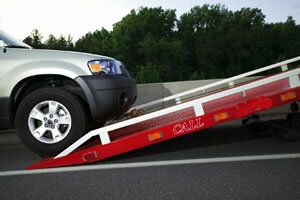 We can even come and take the cars off of your hands with their own tow trucks. This is a great and convenient way to get rid of the cars that you do not want any more.